WaterSoftenerReviews.com is not a paid affiliate website. We compiled the reviews on this website based upon a combined 50+ years of water treatment experience, plumbing design and installations. Our independent reviews have taken into consideration initial costs, operating expenses, life expectancy of the systems and overall durability. Look for more reviews in the future as we continue to provide more water treatment equipment and plumbing related reviews. 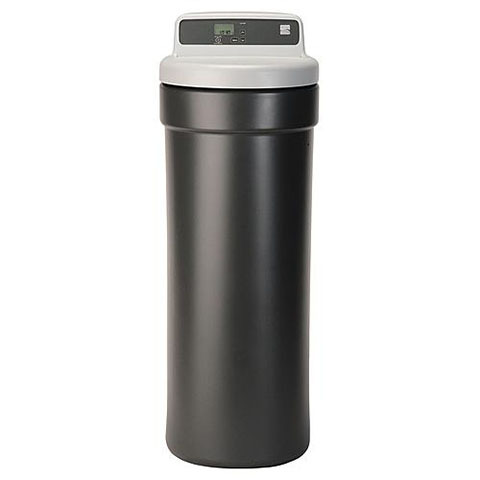 We’ve tested water softeners from numerous manufacturers and compiled a list of the best in each category to help you save time during your research to find the best water softener for you. Sizes from 24,000 to 96,000 grains for all size homes. 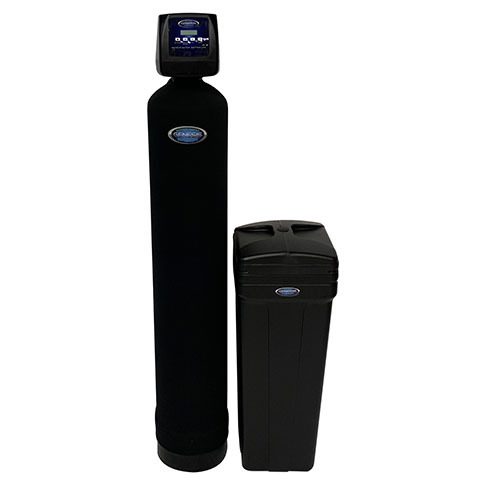 The Genesis Premier Upflow High Efficiency digital water softener is the best selling water softener system overall. The high efficiency capability and the best warranty in the industry makes this system a clear top choice The digital display with full feature scrolling information makes this model a breeze to see what the system status is at all times. The main reason the Genesis Premier gets the nod for best overall is its up flow regeneration process. Upflow regeneration allows the system to reduce salt usage by as much as 75% and water consumption by as much as 64% as compared to the down flow industry norm. The regeneration frequency is managed by a meter so fluctuations in water usage are easily managed to minimize regenerations. 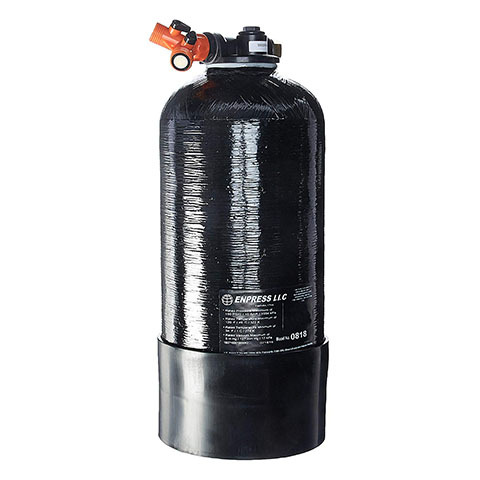 In terms of softening hard water, this system is a top rated systems out there. It softens hard water as reliable as any system available on the market and at the lowest cost. If you are on the lookout for a system that you can rely on, then the Genesis Premier is the system for you. It is highly recommended. Additional to note: The warranty for the Genesis Premier model has a 10 year control valve warranty and lifetime tank warranty. We were not able to find another water system with his long of a warranty that fully encompassed the manufacturer parts like the Genesis Premier. The Fleck 5600 SXT digital metered softener has been an industry standard design for over 30 years. The 5600 model has been Flecks best selling model of all time. The 5600 SXT is ideal for small to medium/large homes with moderate to high water hardness levels. It is a “set and forget” system that is simple to setup and install. The Fleck 5600SXT took the place of its predecessor the Fleck 5600SE. The digital design has changed but the mechanics have been the same for over 30 years. Why change what isn’t broke. The Fleck 5600SXT salt usage is average to good and water use during regeneration can be on the high end on the larger capacity systems. Warranty is the same as most at 5 years on the control valve and 10 years on the tanks. 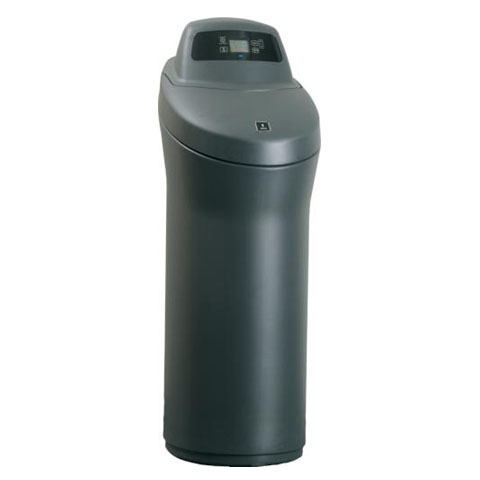 If you want reliability at a price that won’t break the bank then look at the Fleck 5600 SXT model water softener. Morton’s “Look Ahead” technology learns your families water usage pattern and predicts you future water needs. 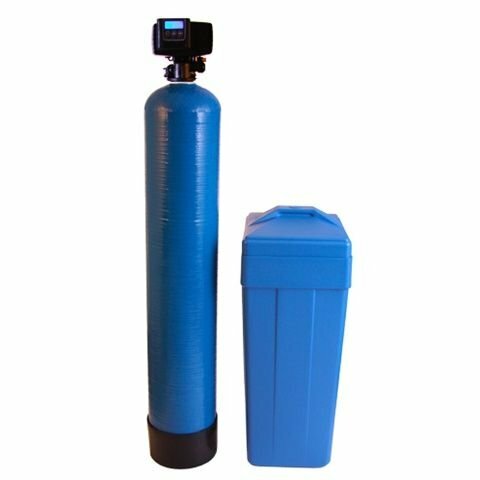 Morton water softeners only regenerate when needed, saving you salt and water. Residential sized valving designed for all family sizes, high water hardness low dissolved iron level removal applications. Works with both city water and private well water sources. This all in one design is the best looking softener but does have the drawback of not holding as much salt. Additional Notes: The Mortons 45,000 grain water softener is a basic water softener not designed for different sized homes so sizing could be a problem for larger homes. Most water treatment companies will not service. Watts RV-PRO 1000 is the most user friendly, RV softener on the market today! Compact and portable, this versatile softener is ideal for RV or any mobile application to prevent hard water staining by removing calcium, magnesium and trace amounts of iron from the water. RV-PRO 10,000 is priced right, costs only pennies to operate and is low maintenance, leaving you more leisure time for fun and relaxation! We do feel that we need to address the “salt free” or magnetic devices that claim to soften water currently available on the market. Our reviews are for industry proven water softening systems as described by the Water Quality Association. A “salt free”water softener does not soften water. For that reason we decided to not include those systems in our reviews as they are not capable of softening water.Magnetic devices also have be proven to have no basis for softening water. For that reason magnetic devices were not included in our reviews. © 2018 Water Softener Reviews. All Rights Reserved.